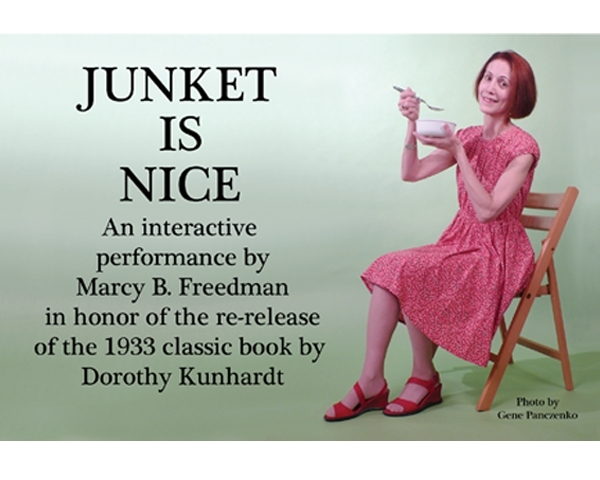 While doing research on a children’s book called Pat the Bunny by Dorothy Kunhardt, I learned about the author’s very first book: Junket is Nice, which was published in 1933. 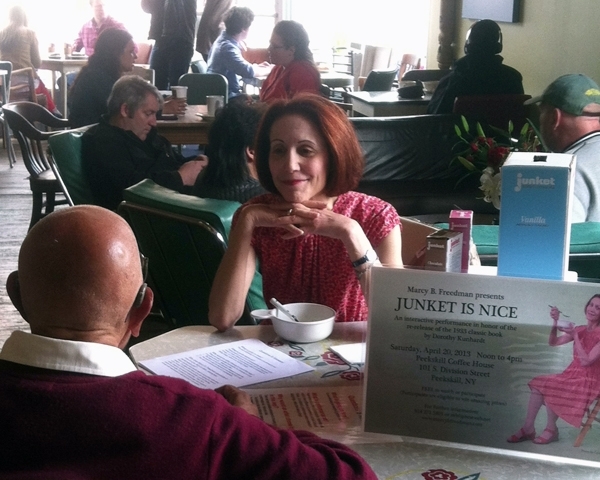 (Note: Junket is Nice is scheduled to be re-released in June, 2013!) After reading a synopsis of the book, I decided to create a performance inspired by the narrative. Presented in one of my favorite venues, the Peekskill Coffee House, my performance will allow members of the public to guess what I am thinking as I devour a huge bowl of junket over a period of four hours. The first five people to guess correctly will be rewarded with a very special prize!